The Town of Seabrook Island, the Seabrook Island Property Owners Association, and the South Carolina Department of Natural Resources oversee management of our beautiful beaches. Below you’ll find a summary of the rules and regulations regarding our beaches. These are intended to keep our beaches clean, to protect wildlife, and to ensure we use the beaches responsibly for the enjoyment of all. We hope Seabrookers, visitors and renters alike, enjoy our beaches and would ask that you post this list of rules in your home if you have visitors or renters who are not familiar with them. 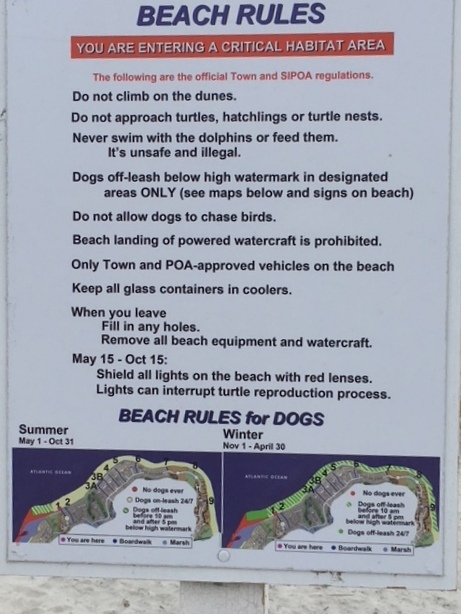 Note that the Town’s Beach Patrol is issuing warnings and citations for infractions of their ordinances pertaining to the beach – – for example, dogs off leash, glass on the beach, and accessing the dune areas. May 1st was the beginning of the more restrictive time for leash regulations – – please pay close attention to the leash rules in item #4 in the list below. Warnings issued by the Beach Patrol since the beginning of April include 26 for leash law violations, three of these in the Critical Habitat area. Residents received more than half of the off-leash warnings (58%). One other violation that seems prevalent relates to taking glass to the beach (see item 8 below) — it shouldn’t be difficult to change our behaviors in that regard. Stay off the sand dunes. No dogs or people, other than those specified by the Town and the Department of Natural Resources, may walk on sand dunes. Also, vegetation may not be removed from sand dunes. The dunes need to be protected and are where the loggerhead turtles lay their nests in the soft sand. Turtle season runs from May through the end of September. Do not approach turtles or hatchlings, and do not disturb turtle nests. Nests are marked with an orange sign and white pole. We have many volunteers on the Turtle Patrol who are happy to educate the public on the life of loggerhead turtles and the work they do to protect them. Dolphins. The dolphins in our area are known for strand feeding where they push fish onto the beach and then follow to eat them. It is an incredible sight and we hope you are fortunate enough to witness it. However, people and their dogs are not permitted within 50 yards of the dolphins. Do not try to get close to the dolphins. They are wild animals and unpredictable. Do not try to swim with these dolphins; it is illegal. 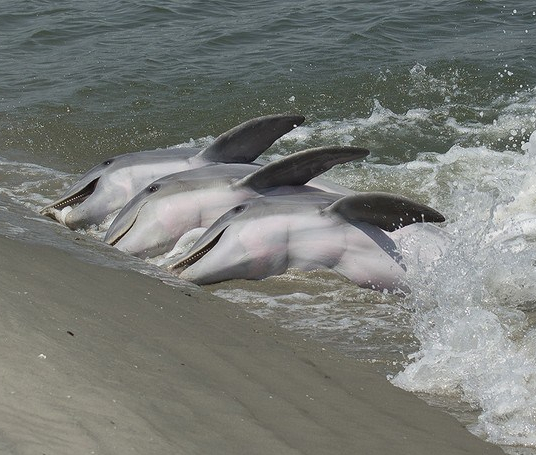 Seabrook volunteers working with the Lowcountry Marine Mammal Network are on the beach during times of strand feeding and are happy educate us on the dolphins and this unusual behavior. Dog walking. Dogs are permitted only in the area beginning approximately 300 yards east of a line extending from the Oyster Catcher Community Center boardwalk (boardwalk #1) to the Atlantic Ocean and continuing for approximately 550 yards. (See map) Within this designated area from May 1 until October 31, dogs are allowed to be off lead below the apparent high water mark prior to 10:00 a.m. and after 5:00 p.m., provided they remain subject to voice control of the person supervising them. No dog shall be allowed beyond the designated area on the Cap’n Sams side. In all other beach areas outside of the designated area from May 1 until October 31, no dogs or other domestic animals shall be allowed that are not on a lead at all times. Dog excrement is to be removed from the beach and disposed of in the trash containers. Take your trash off the beach. All trash, paper, bottles, cans, dog excrement, and other litter must be removed from the beach before the end of the day. If you see trash on the beach, please take a few minutes to pick it up. Our trash is dangerous for the wildlife and can pollute our waters. Balloons on strings are especially dangerous for the turtles. Last, please leave the beach in a beautiful and clean condition, ready for the next person or family. Lights out. Please shield all lights on the beach with red lenses. For those homes along the beaches, please turn off all outdoor lights when no longer required. Light disrupts the mother turtles in their search for the right nesting place. 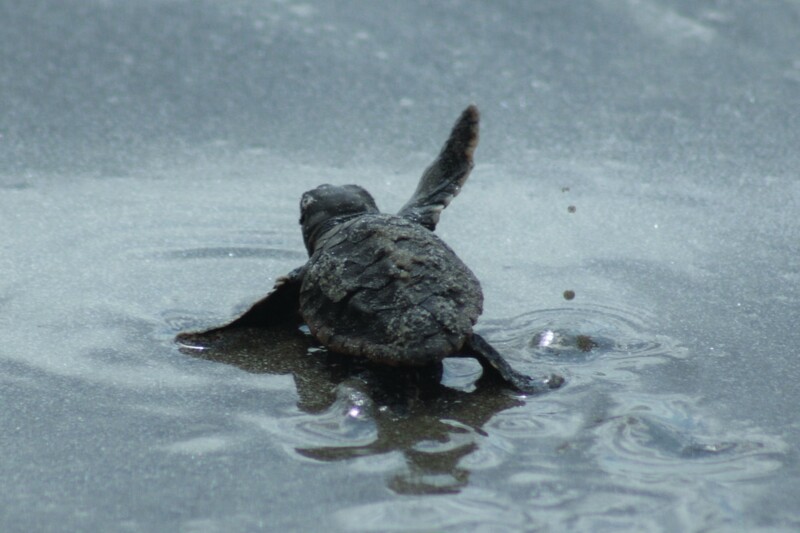 Light also attracts the hatchlings so they crawl away from the ocean when coming out of their nests. Last, outdoor lights left on all night may disturb your neighbors. Beach Parking. Only property owners with SIPOA barcodes on their vehicles may park in the lot at the Oyster Catcher Community Center. Please make sure that your visitors and renters are aware that the fine is $50 for parking in the lot without a barcode. Visitors and renters should use the parking areas at the entrance to each of the walkways to the beach.